The last Korean recipe for the week! And I am very sad about that! I hardly ever can't wait to make the same dish again, but that is the case for all the Korean dishes I have made this week. This Kimchi bokkeumbapa translates directly to kimchi fried rice. I think fried rice has kind of a negative rep. I am pretty sure it is because all the ghetto Chinese take out comes with fried rice. Why!?! And why did I just call it ghetto? Sorry! Fried rice, when made properly, is so delicious. And also so sensible. The texture is best when it is made with old rice. 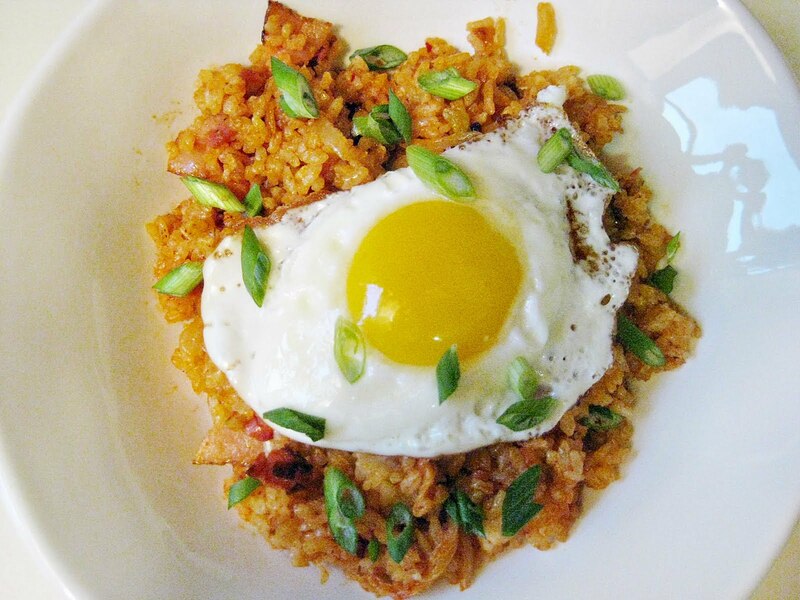 If you have leftover rice, this meal take less than half an hour to make. 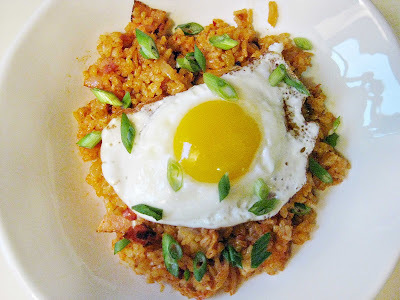 The importance of old rice is something I can confirm from making many bad fried rice dishes. If it is made with fresh rice, the end result is too wet. Back to fried rices bad rep, I also think fried rice has a bad rep because it is called "fried" rice. But don't even worry about it, there is very little added oil in fried rice. This particular recipe also has pork belly, but let's just ignore that. Actually, my grocery store doesn't have pork belly, so I just used bacon. SO amazing. 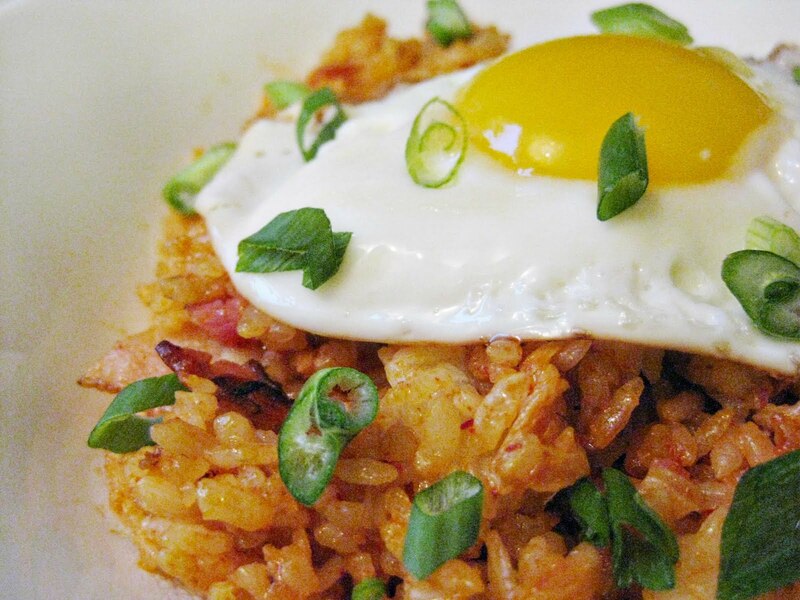 This dish is like bacon and eggs and Korean spicy goodness. Heat the oil in a pan. Add the pork belly and onion and saute until the pork belly turns white. Add the rice and let it cook until it starts to brown, flip it and do the same to the other side. Mix in the kimchi, garlic, gochujang and soy sauce and cook for 5 minutes.